Heath Robinson would have been proud. 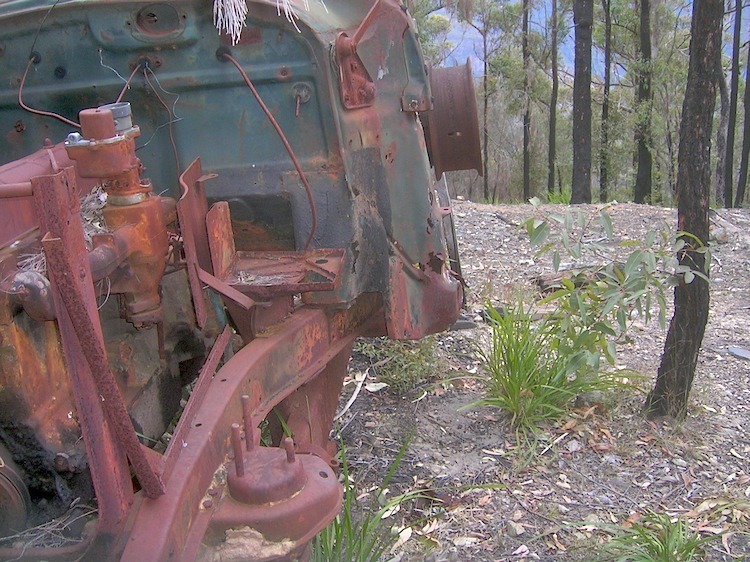 Enterprising miners have reused an old Chevy truck and put it into service as a winch to pull ore up from Faint’s Mine. We had previously come across the bottom and middle sections of the steel rope that had been used to hoist ore and, with some time to spare having returned early from the walk into the Styx River, we explored the old ore processing works to see if we could find the top section of the steel rope. We didn’t find any rope though, just the winch.